As Guru Nanak foretold (in Jap Ji: dhaul dharam daya kaa poot), so it happened. First came kindness, then righteousness. Soon after arose courage and strength. Last but not least, came governance. Guru's Khalsa is the sum total of these five attributes. One wonders if it is a coincidence or a Divine wish that the five (Daya Ram, Dharam Das, Himmat Rai, Muhkam Chand and Sahib Chand - representing five divine qualities), who responded to the Guru's call and became beloved (pyare) of the Guru, came from five different directions/regions - Lahore (Pakistan), Hastinapur (Delhi), Dwarka (Gujarat), Jagannath Puri (Odisha) and Bidar (Karnataka). They belonged to five different castes (khatri, jat, jhiwar, chhimba, nai), related to five different occupations: shopkeeper, farmer, water-carrier, calico-printer, barber (The five youths were chosen from five castes - Panth Prakash, Ratan Singh Bhangu). The underlying message was that the Guru, in his all-embracing approach, wanted to adorn everyone with higher human values and unite them into one - without any discrimination based on caste, creed, colour, country, form, gender, race, region, etc. (I shall merge all the castes into one - Tankhahnama, Bhai Nand Lal ji). That is why, the Guru's first spiritual message was: kul nash, kirat nash, karam nash, dharam nash and bharam nash. It meant that Guru Sahib was making a 'khalisah' (pure and sovereign) human being, who has to come out of the yoke of his old lineage, occupation, actions, beliefs, doubts, etc. to be the Guru's Khalsa (They must discard the rituals associated with their ancestors and concentrate on the Guru's teachings...Becoming a Guru's Sikh meant shedding all doubts. Becoming a Guru's Sikh meant complete subduing of one's ego. It involved renouncing one's descent and accepting the Guru's lineage - Panth Prakash, Ratan Singh Bhangu). The Guru bleached them with the double-edged sword (khanda) and treated them with an understanding and application of wisdom (bani). Every one of them became an embodiment of kindness (daya), righteousness (dharam), courage (himmat), strength (muhkamta) and governance (sahibi). They had the generosity of ocean and serenity of water. They had the magnificence of the tenth Nanak (Guru Gobind Singh), and also the sweetness and humility of the first Nanak (Guru Nanak Sahib). So who is Khalsa? What does it stand for? The Khalsa is: who overcomes all doubts and reins in vices; who controls the impulses of lust, wrath, greed, material attachment, etc. and surrenders one's conceit. 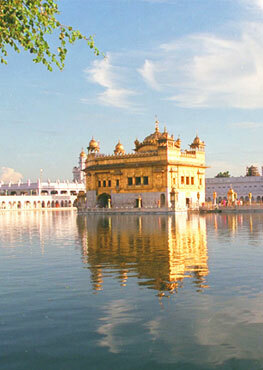 The Khalsa is: who has a pure and untainted personality, without any lies, deceit and dishonesty. The Khalsa is: who ceases to blame and slander others, but instead acts on every social concern and cause, and leads from the front; who breaks the shackles, liberates the prisoners and joins the broken ones together; who has the heart to stand with the low, the weak and the distressed, and the courage to berate the belligerent and oppressors. 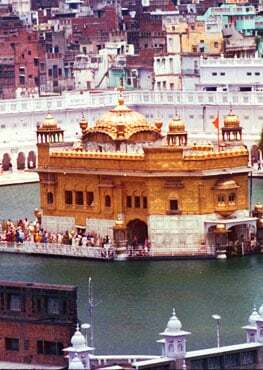 The Khalsa is: who attaches one's mind to the Formless; who has firm faith in the all-pervading Divine existence and does not recognize anyone else as equal to the Almighty; who develops a spiritual relationship with the Divine and creation, the Divine manifestation (naanak kaa patishah disai jahara: Nanak's Sovereign is immanent and manifest - Guru Granth Sahib 397). The Khalsa is: who identifies with the Creator and practises divinity in daily life; not a ragi, nadi, bedi, sabadi, moni, yogi, or gyani, but 'Khalsa' who cultivates a life full of loving awareness and devotion to the Divine (kahu kabir jan bhaye khalse prem bhagti jin jani - GGS 655). The Khalsa is one who is an epitome of wisdom (bani), not merely its heir; and who not just carries the khanda, but is also duly qualified and eligible to carry it. This is the Khalsa on whom Guru Gobind Singh bestowed the honour of carrying the weapons and riding the horses (Khalsa is one who adorns the arms…Khalsa is one who rides the horse - Tankhahnama, Bhai Nand Lal ji). This is the Khalsa whom the Guru referred to as 'my perfect and true Guru' (khalsa mero satigur pooraa - Sarbloh Granth), and finally, invested with the responsibility of carrying forward the teachings and legacy of Guru Nanak. On this historic Day of Khalsa Inauguration (Khalsa Sajana Divas), we need to introspect and reflect on how can we rekindle the spirit of Khalsa in our lives today.